Geneva, Switzerland, 10 May 2017 – The World Economic Forum and the International Finance Corporation (IFC), the private sector arm of the World Bank Group, have partnered to bring together 100 Arab start-ups that are shaping the Fourth Industrial Revolution. The start-ups were selected in collaboration with leading experts and successful entrepreneurs operating in the region. Representatives of the selected companies will meet 1,000 leaders from business, government and civil society at the World Economic Forum on the Middle East and North Africa at the Dead Sea in Jordan, on 19-21 May. A vast majority of the 100 are building their business model, products and services on new technologies like artificial intelligence, blockchain, and satellite technology – pioneering a generational transformation in the Middle East and North Africa – while at the same time serving basic needs such as transportation, communication or payment processing. With the help of these companies, it is possible to order food home-cooked by refugees, teach children to code, get medical support online, make payments securely, or chat with bots in Arabic. In fact, many start-ups are closing region-specific gaps in services and products, for example by providing telehealth services in Arabic, curating Arabic news sources, using GPS to guide product deliveries or facilitating hotel reservations by phone when many users are not comfortable paying with credit cards online. Investors in the region have noticed and are eager to get involved. “You can see the impact and ingenuity of Arab start-ups everywhere in the Arab world. We see impressive momentum and – with sovereign wealth funds and traditional family businesses – the emergence of a whole new type of venture capitalist. For me, this is the biggest underreported story in the region,” said Mirek Dusek, Head of Middle East and North Africa at the World Economic Forum. 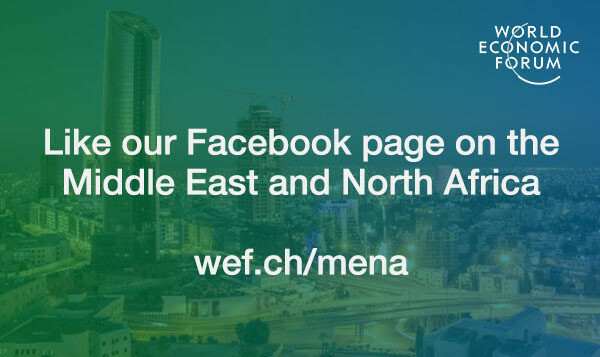 Entrepreneurs will be joining the World Economic Forum on the Middle East and North Africa from host country Jordan and from all economies of the region: Algeria, Bahrain, Egypt, Iraq, Kuwait, Lebanon, Libya, Morocco, Oman, Palestine, Qatar, Saudi Arabia, Syria, Tunisia, the United Arab Emirates and Yemen. Many of the businesses have been founded under the most challenging circumstances – including Arabic voice-recognition software developed in Syria, the first e-mobile wallet in Libya, a labour marketplace in Yemen and mobile games produced by a team in Gaza. While the initiative seeks start-ups specifically in the Arab world, given the clear entrepreneurship imperative there, the meeting will also integrate select international start-ups from the US, France, Israel and elsewhere. The members of the selection committee are Fadi Ghandour, Chairman, Wamda, UAE; Karim Kawar, President, Kawar Group, Jordan; Ahmed Alfi, Chairman, Flat6Labs, Egypt; Alexi Valls Chief Executive Officer, Mobile World Capital, Barcelona; Mouayed Makhlouf, Regional Director, MENA, IFC, Cairo; Atul Mehta, Director, Telecom, Media, Tech & Venture Investing, IFC, Washington D.C.; Mirek Dusek, Head of Middle East and North Africa, World Economic Forum, Geneva; Alan Marcus, Head of IT, Telecom, Entertainment, World Economic Forum, New York; Chris Schroeder, Advisor & Venture Investor, USA; and Hala Fadel, Managing Partner, Leap Ventures, Lebanon. The World Economic Forum on the Middle East and North Africa is taking place at the Dead Sea in Jordan on 19-21 May. With the full support and presence of Their Majesties King Abdullah II and Queen Rania Al Abdullah, this year marks the Forum’s ninth meeting in Jordan and the 16th meeting in the region. More than 1,000 business and political leaders and representatives from civil society, international organizations, youth and the media from over 50 countries will participate under the theme, Enabling a Generational Transformation.